Superdry women’s core crop branded t-shirt. For a must-have wardrobe staple, look no further than this crop tee. A lightweight, versatile tee that provides ease of movement and complements all of your training outfits. Crafted from moisture wicking, breathable fabric, this t-shirt is all about keeping you looking and feeling cool. 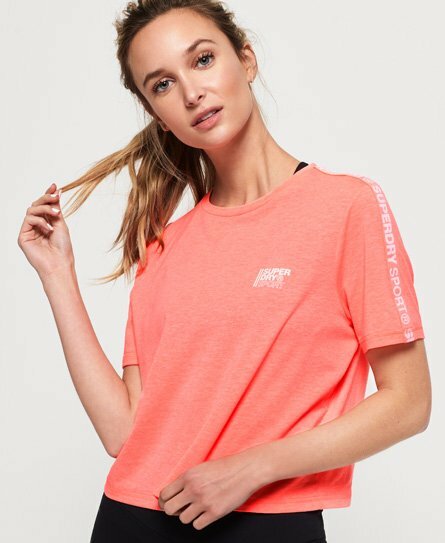 It features a flattering crew neckline, a Superdry logo on the chest and Superdry taping on the shoulders and sleeves. To complete the outfit, take a look at our huge range of leggings and joggers.